Elmont, North Valley Stream, Rosedale, Laurelton, Cambria Heights, Springfield Gardens, and Franklin Square, and influenced the Germanic development of Valley Stream, New Hyde Park, and Queens Village. Fosters Meadow was named after Thomas and Christopher who used the western tip of the Hempstead Plains as a sheep pasture in the 17th Century. In the 18th and first half of the 19th Century it was populated by descendants of Dutch and English immigrants who established a vibrant farming community. But it was in the 1850s when the area received German immigrants that the ethnic identity of the area started to change. 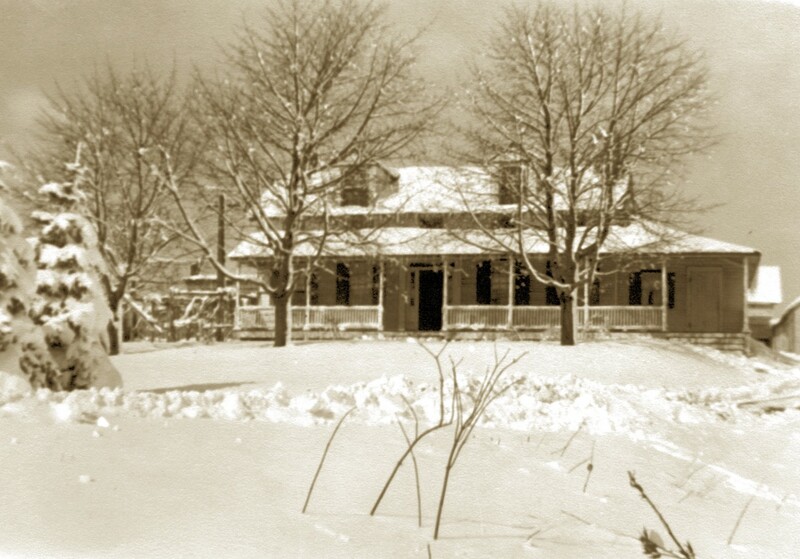 The establishment of two German speaking churches (St. Boniface RC Church in 1854 and St Paul’s German Evangelical Church in 1864) encouraged additional German immigrants to migrate to the area and established Fosters Meadow as the cultural center for German speaking population. Starting in the 1850s, word got out about the fertile soil in this area. Many German speaking people who were previously in areas of Brooklyn and western Queens moved to this area called Fosters Meadow. As time progressed hotels and general stores were built and the area started to thrive as an agricultural community. 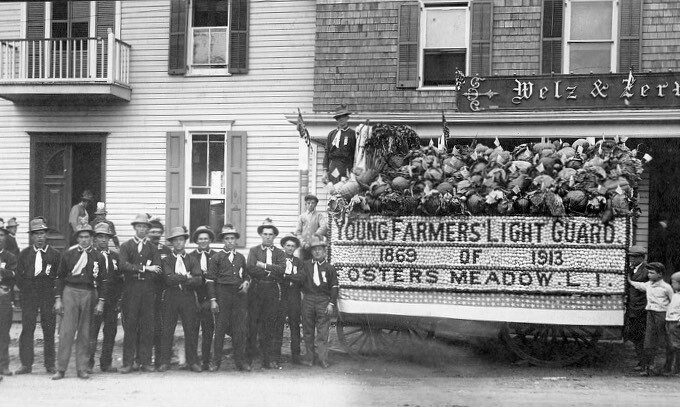 Social groups like the Young Farmers Light Guard and the St. Joseph’s Society were organized. These farmers were known as market or truck farmers, transporting their produce first, by horse and wagon, then by motorized trucks (pictures) to the various markets in the cities of Brooklyn and New York where it would be sold. By the beginning of the 20th Century the descendants of the German immigrants were the dominant ethnic group in what continued as an active agricultural area serving the large population centers to the west. We invite you to learn more of Fosters Meadow family history, flip through the archives of maps, newspapers, and more. Stroll through the extensive photo galleries, relive Heritage Center events and consider joining us for those upcoming. We are always uploading more and more information and images, please come back often and see what's new. Please sign our guest book and let us know your thoughts about our website. Note that when you comment on our quest book it does not leave you email address. Note: For interactive dialog with a Fosters Meadow committee member, contribute your time and research, or add your name to the mailing list, please use the contact us link. (FostersMeadow.FSHS@gmail.com). To see more, please visit our Gallery. We'd love to hear from anyone tracing their ancestry to Fosters Meadow. Are these families in your family line? Do you trace your ancestry to the Fosters Meadow region but are not yet represented? Please contact us so you too can share your memories, family stories, photos or contribute memorabilia to help preserve the heritage. To learn more on Foster Meadow families, visit the History tab. If you have documented family history, contact us to have your family history included. 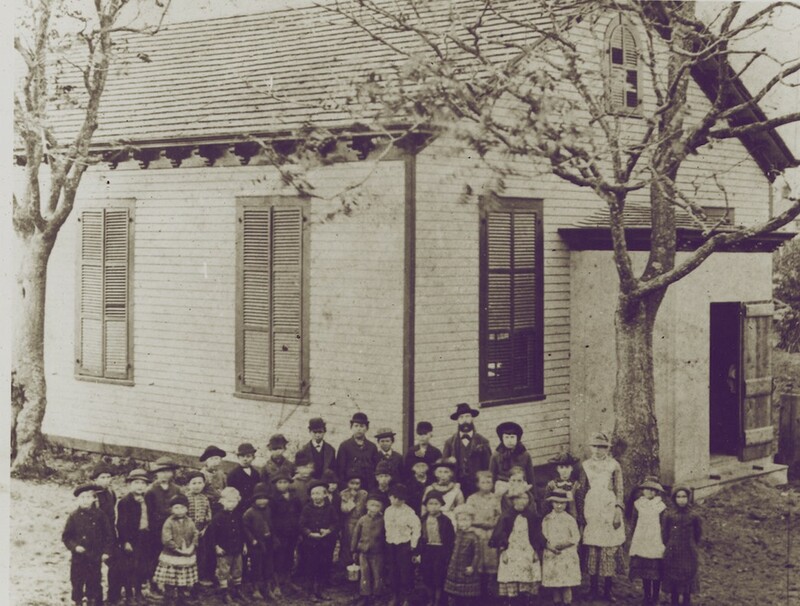 St. Paul's German Presbyterian Church Records are now available.